Our board certified physicians and physician assistants use leading injection techniques to bring subtle volume and brightness back into the skin. To create a fresher, more rested look by eliminating dark shadows brought on with age. Restylane is a family of smooth fillers that our office uses to instantly smooth away unwanted wrinkles and restore natural contours. With just one treatment, you’ll get smooth and natural-looking results that last. RESTYLANE® is for mid-to-deep injection into the facial tissue for the correction of moderate to severe facial wrinkles and folds, such as nasolabial folds. Restylane® is also indicated for injection into the lips. RESTYLANE REFYNE® is for mid-to-deep injection into the facial tissue for the correction of moderate to severe facial wrinkles and folds, such as nasolabial folds. RESTYLANE DEFYNE® is for mid-to-deep injection into the facial tissue for the correction of moderate to severe deep facial wrinkles and folds, such as nasolabial folds. RESTYLANE LYFT® with Lidocaine is for deep implantation into the facial tissue for the correction of moderate to severe facial wrinkles and folds, such as nasolabial folds and for cheek augmentation and for the correction of age-related midface contour deficiencies. RESTYLANE SILK® is for lip augmentation and for correction of perioral wrinkles. Why should I choose Integrated Dermatology for my RESTYLANE® treatment? Here at Integrated Dermatology, only board certified physicians and physician assistants perform the RestylaneÆ treatment. Our cost not only includes the price of the product, but more importantly, the skill and expertise of the provider who is administering your treatment. 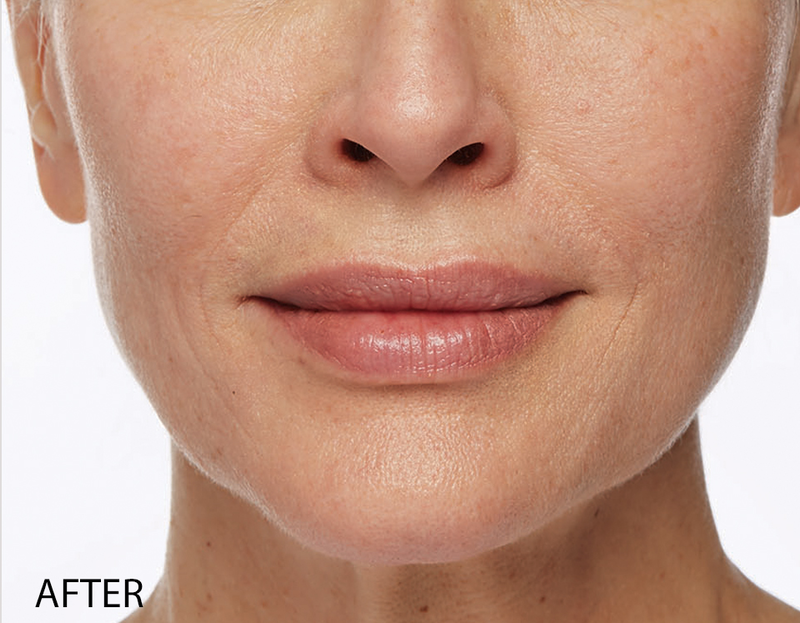 The Restylane® line of hyaluronic acid fillers provides natural-looking results by smoothing away facial wrinkles and folds, providing subtle lip enhancement, smoothing of the lines around the mouth and by adding lift and volume to the cheeks. Will RESTYLANE® Cosmetic make me look like I’ve had work done? 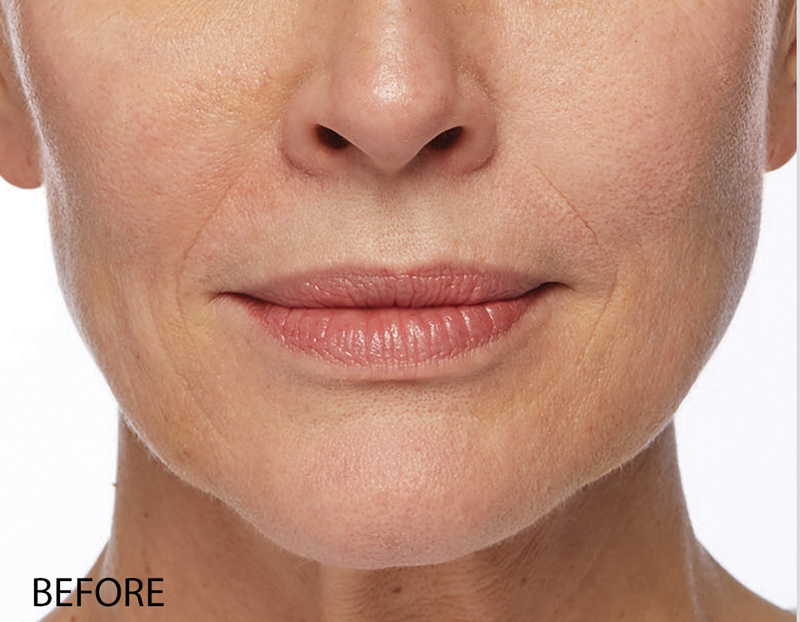 Made with XpresHAn Technologyô, Restylane Refyne® and Restylane Defyne® help offer just the right amount of lift to laugh lines – all the while preserving your ability to show your range of natural facial expressions. Restylane® Cosmetic is a technique sensitive treatment. It is important to talk to your provider about the results you want from treatment. At integrated Dermatology, only board certified dermatologists and physician assistants use Restylane® Cosmetics. Does RESTYLANE® Cosmetic treatment hurt? Our dermatology providers will discuss your treatment goals and perform a facial analysis to determine the appropriate treatment for you. The treatment involves numbing for 30 minutes and the actual injection process takes about 45 minutes. Your physician will discuss what to expect following treatment with Restylane®. Within the first 24 hours, you should avoid strenuous exercise, extensive sun or heat exposure, salty foods and alcoholic beverages. Exposure to any of the above may cause temporary redness, swelling, and/or itching at the injection sites. You should ask your physician when makeup may be applied after your treatment. You may begin to notice results immediately after treatment with maximum results 2 weeks, lasting up to 6-12 months. In a clinical study of subjects treated with Restylane®, blinded evaluators reported still seeing improvements in 95% of subjects 18 months after initial injection. If this is your first time receiving Restylane® Cosmetic treatment here at Integrated Dermatology, it is recommended that you follow up with your health care provider in two weeks to make sure you have the desired effect. Do men receive Restylane® Cosmetic treatment? Yes, Restylane® Cosmetic treatment has also been clinically evaluated in make patients. Do I need a cosmetic consultation to receive Restylane® Cosmetic? Yes, Restylane® Cosmetic treatment requires a cosmetic consultation. During a cosmetic consultation, our dermatologists will discuss your treatment goals and perform a facial analysis to determine the appropriate treatment for you. It is recommended and required to receive the treatment. want to know if restylane is right for you? Will I be able to receive the Restylane® Cosmetic treatment at the time of my Cosmetic Consultation? You and your dermatology provider will discuss your treatment goals and discuss the timing of your treatment. For the most part, Restylane® Cosmetic will not be done on the same day as the visit but sometimes it is case-by-case. Can I receive Restylane® Cosmetic treatment when I am pregnant or nursing? It is not recommended to receive Restylane® Cosmetic treatment if you are pregnant or nursing. Are there any medical conditions that prevent me from receiving Restylane® Cosmetic treatment? Your physician will ask about your medical history to determine if you are an appropriate candidate for treatment. BEFORE THE PROCEDURE: Avoid alcoholic beverages at least 24 hours prior to treatment (alcohol may thin the blood, increasing the risk of bruising). Avoid anti-inflammatory/blood thinning medication ideally for a period of two weeks before treatment. Medications and supplements such as aspirin, vitamin E, ginkgo biloba, St. John’s Wort, ibuprofen, Motrin, Advil, Aleve, and other NSAIDs are all blood thinning and can increase risk of bruising/swelling after injections. Schedule your Restylane® treatment appointment at least 2 weeks prior to a special event which may be occurring, i.e., wedding, vacation, family portrait, etc. It is not desirable to have a very special event occurring and be bruised from an injection. POST PROCEDURE: You may apply cool/ice pack to the area for 24 hours after treatment to reduce swelling and bruising. You may apply Arnica gel to the area or take Arnica if you would like. AVOID: Aspirin, vitamin E, vitamin A, Excessive garlic, Flax oil, Cod Liver oil, ginkgo biloba, St. John’s Wort, ibuprofen, Motrin, Advil, Aleve at least 3 days to 1 week before and after filler treatment. AVOID: Alcohol, caffeine, niacin supplement, high-sodium foods, high sugar foods, refined carbohydrates (you may eat fruit), spicy foods and cigarettes 24-48 hours before and after your treatment. No makeup or lipstick until the next day, Earlier use can cause small pustules. Do NOT touch press, rub or manipulate the treated areas for 6 hours after treatment. You can cause irritation, sores, and/or problems, and possible scarring if you do. You must wait two weeks before retreating or correction. Our Restylane® fillers are priced per syringe and the number of syringes needed is dependent upon the patient and desired results. Patients typically range from 1-4 syringes per treatment. Treatments range from $650-$750 per syringe. Enroll in Aspire Rewards Program to save on Restylane® Cosmetic treatments. This FREE rewards program allows you to earn points on each treatment you receive which you can redeem for savings on future treatments. You can also earn and redeem points on Dysport® Cosmetic treatment. As a member, you will receive treatment reminders, information about your point balance and be eligible for promotional discounts on Restylane® and Dysport® Cosmetic treatments.